With our new film, TAR, in its final stages and everyone’s favorite spooky month kicking off, we thought it was time to talk monsters. In a time of multi-million dollar VFX budgets and CGI worlds, it may feel as if filmmakers can make anything feel real with enough time and money in post-production. But this isn’t so. Audiences have a keen eye for CGI and hate to feel like they’re being lied to. When a filmmaker chooses to make something happen in-camera, in front of their actors, they capture an indescribable feeling. Here are five instances of profound practical effects that stand out across years of Monster Movies and Creature Features. While Del Toro’s film about a young girl during the Spanish Revolution is more fairy tale than horror, it is filled with a unique cast of creatures and monsters, the most impactful of which is undoubtedly the Pale Man played by Doug Jones. Other than green chroma pants used to create impossibly thin rickety legs and VFX eyes in the hands, the dread of the Pale Man comes from the expertly done makeup by DDT Efectos Especiales and the physicality that Jones brings to the monster. The moment the Pale Man opens his eyes for the first time sends a chill down even the most scrutinizing audience’s spine. Maybe the most celebrated example of the power of practical effects is the massive and murderous Tyrannosaurus rex from the original 1993 Jurassic Park. Spielberg brought a prehistoric monster to life and forced audiences, and his actors, to stare it down in an unforgettable “oh sh*t” moment that helped solidify this film as a landmark of movie history. 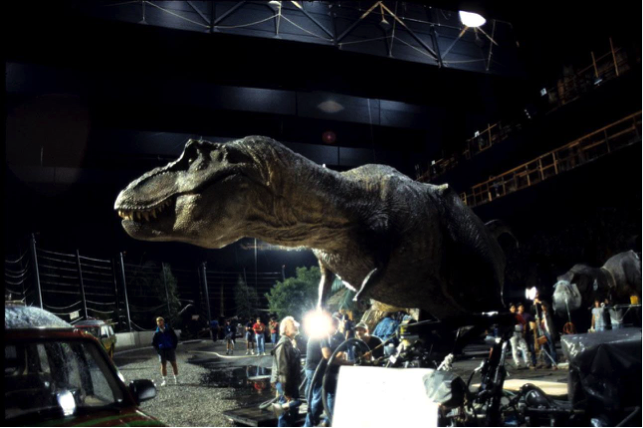 Two animatronic T-rexes, built by Stan Winston Studios (who will reappear on this list), were used: a forty-foot-long full-sized beast and another, more detailed version built from the torso up for closer shots. The animatronics were built around a complex system of hydraulics, surrounded by chicken wire, wood, steal, and 3 tons of clay, all coated in a foam latex skin. In 2014, Australian director Jennifer Kent flipped the horror-genre on its head with her highly psychological and character-driven The Babadook. 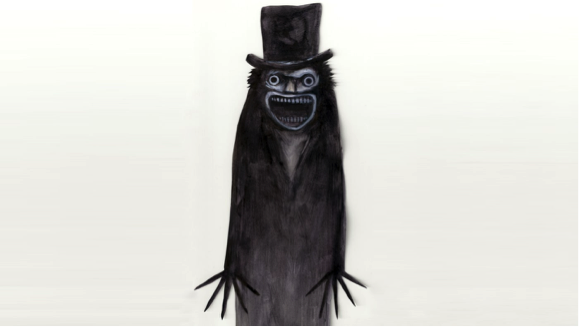 Throughout the film, the Babadook appears in many forms, sometimes it’s a human-like monster seen through a window while in other scenes it is a bizarre creature, crawling across the ceiling. Kent was committed to doing as much as possible in-camera on this film. As she explains, the Babadook is a combination of various effects: puppetry, costumes, stop-motion. These simple effects not only serve to complement the visual style of the movie but create a monster that transforms with the story and serves up simple, tangible scares that will haunt the shadows in your bedroom. Another classic of the monster movie genre is the horrifying Xenomorph designed by H.R. Giger for Ridley Scott’s masterpiece Alien. In the original film, Scott makes use of what isn’t seen by the audience to create fear and suspense. The few moments where the audience does see the alien, however, are terrifying because of the life that 7’2 Bolaji Badejo (pictured above) brought to the costume. In the sequel, Aliens directed by James Cameron, a massive feat of practical effects work was created by Stan Winston Studios around an idea from Cameron: a 14-foot tall puppet of the Alien Queen. With two-stunt men inside, a system of hydraulics, a massive crane and 8-operators in total, the Queen came to life in an unforgettable final showdown that elevated the terror of the Alien universe. Last on our list is the recent horror-hit, It, credited as one of the scariest movies in recent history in no small-part because of Bill Skarsgård’s performance as Pennywise the Dancing Clown. Given the premise of a shape-shifting monster-clown, it is not surprising that the film makes use of visual effects, but the most chilling elements of this movie monster come from what Skarsgård brings to the character. In the opening scene of the film, as Pennywise attempts to lure Georgie into the storm drain, the audience sees evidence of the inhuman monster underneath. Skarsgård’s face goes blank, drool slips out of his mouth, and his eyes subtly move in different directions. Director Andy Muschietti was prepared to achieve this effect using VFX but Bill was insistent on doing it himself, breathing life into this monster and forcing the audience to squirm in their seats. If you’re looking for a Halloween scare (or perhaps some costume inspiration? ), check out these five incredible examples of movie monsters done right. While it can’t be denied that visual effects and CGI are revolutionizing film, practical effects will always provide something that digital cannot.